pintopinterest I’m so, so excited to share a few of my favorite images from a recent engagement session I photographed at the stunning Biltmore Estate! This beautiful estate is a photographers dream and while I grew up visiting the estate, it was my first time shooting there. I can not wait till we photograph our first Biltmore Estate wedding! A huge congratulations to Kristen and Marc, they recently got engaged and are in the process of planning their wedding in Louisville KY this summer! We had an absolute ball wandering the Biltmore grounds, I think all three of us laughed enough to make our cheeks hurt. They were rock stars in front of the camera and I think these photo’s are evidence of that! pintopinterest This is one of my absolute favorites from Kristen and Marc’s Biltmore engagement session 🙂 Yup, that’s Mount Pisgah in the background! pintopinterest pintopinterest The veranda on the side of the Biltmore house offers a spectacular view of the blue ridge mountains! pintopinterest The water lilies in the Biltmore’s Italian Garden was backlit by the setting sun and made for a gorgeous silhouette with Kristen and Marc. pintopinterest pintopinterest Love this one… The ornate wall at the front of the Biltmore House was a perfect backdrop… Can’t you tell these two are very much in love? pintopinterest pintopinterest The Biltmore Conservatory wasn’t open when we arrived, but it made for a great backdrop. Did you know that the Biltmore hosts weddings at the conservatory, under the stars! 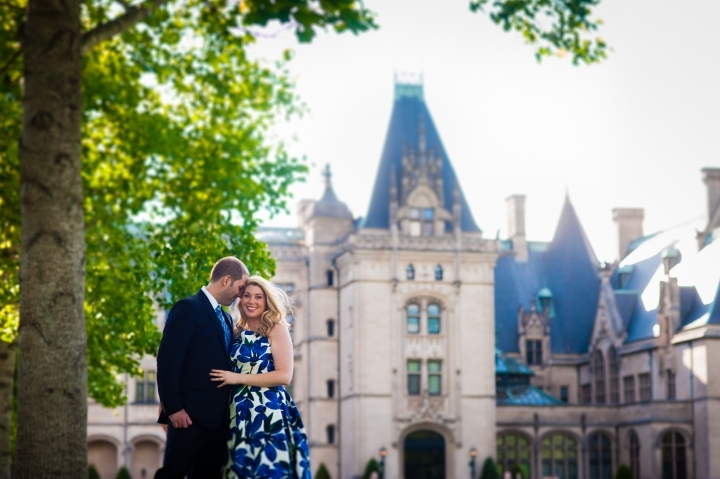 pintopinterest Kristen and Marc, thank you so much for having AMW Studios photograph your engagement session at the gorgeous Biltmore Estate!! AMW Studios is currently booking Asheville weddings, engagement and family sessions for 2016 and 2017! 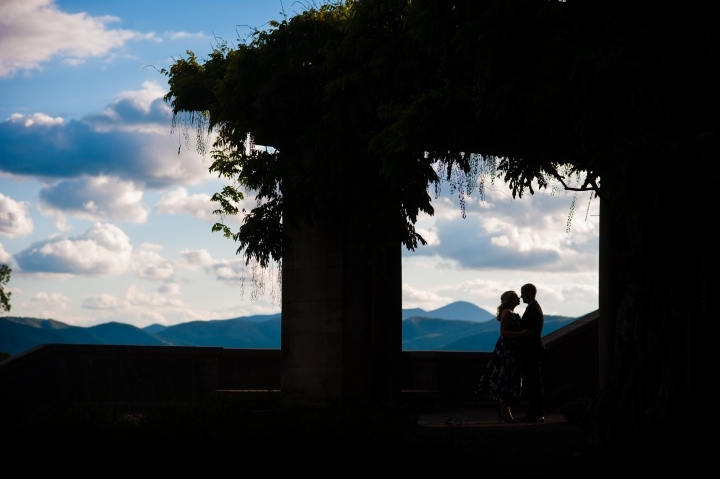 Planning an Asheville wedding? We’d love to hear more about your wedding plans!! In addition to being Asheville wedding photographers, we also photograph weddings in Boone, Blowing Rock, Cashiers, The Great Smoky Mountains and beyond!! Let us know where you’re getting married, we’ll be there!